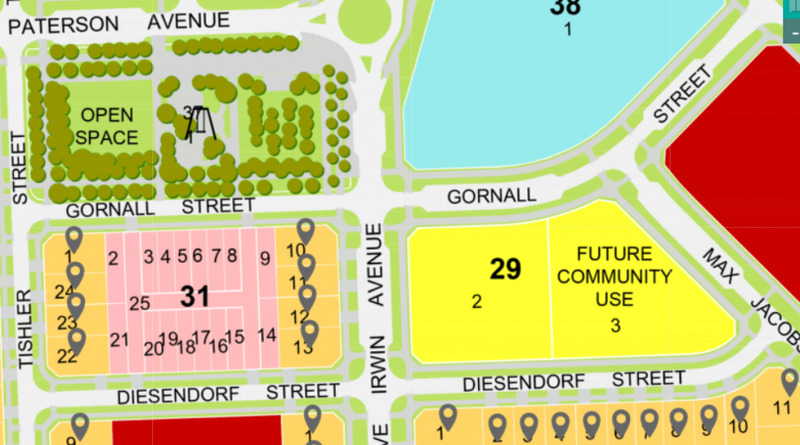 Variation 358 prohibits residential care accommodation, supportive housing and retirement villages on Wright Section 29 Block 3. Photo: Surbaban Land Agency. A block of land in Wright has been set aside for community use after residents of Wright argued the land should be converted to a place where their community could come together. The ACT Government approved Variation 358 to the Territory Plan, which prohibits residential care accommodation, supportive housing and retirement villages being built on the block of land. The land in the Molonglo Valley will instead be given to community use, which may include a community activity centre, child care centre, educational establishment, health facility, place of worship or outdoor recreation facility. Minister for Planning and Land Management Mick Gentleman acknowledged the work of the Wright Resident Group who had fought to have the land used for their community. “I am pleased the community’s expectations are being met by this amendment to the Territory Plan,” Mr Gentleman said. “A sense of community is important for any suburb to build neighbourhood connections with the right community facilities available that are suited to the needs of that community. Mr Gentleman said the community strongly voiced their desire for a community facility and was glad the Government listened. “Wright is a new suburb and the needs of the community are not yet fully established, unlike other suburbs which have existing developments,” he said. “The original site at Wright was large enough to allow for both supportive housing and other community uses and the community strongly voiced their desire for a community facility. The site is set to be released on the Land Release Program 2018-19. The next step is for the variation to be considered by the Legislative Assembly. This article only tells half of the story. It neglects to mention that whole block was originally zoned for community use until the ACT Government changed the zoning, without consultation, to allow public housing on the site – very much against the community’s expectations and wishes. The lack of support from some MLAs for the concerns of the community will be remembered at the next ACT election.